When you have small apartment, you have small space to decorate. 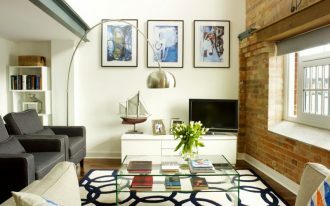 Thus, it will be a challenge to put everything you want inside your apartment without making it too crowded inside. 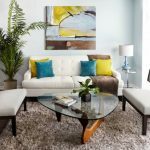 However, no matter how small your apartment is, you will need and want a couch so that you can straighten your feet and back whenever you come home from work, or having a good time with your family or friends. 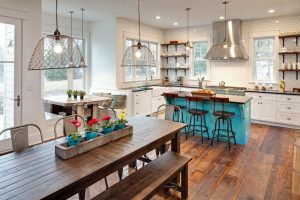 Even though you will need to find only small furniture, it doesn’t mean that you cannot get the best out it, both for fulfilling the task and the decoration. Here are some ideas that you might like. 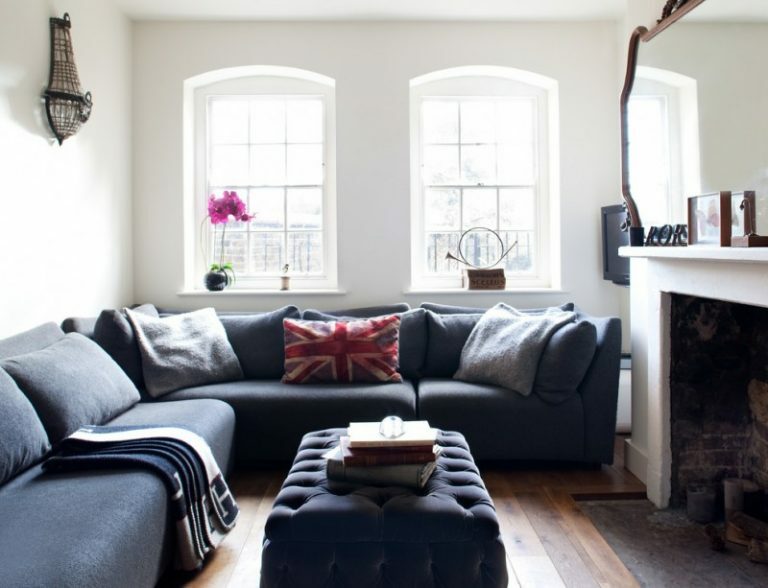 If you have a calm and simple character, you will love this grey sofa. 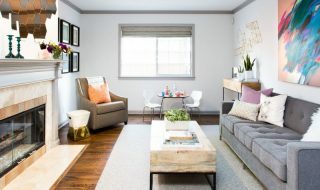 Grey is a color that can easily blend to any color and theme room you want. 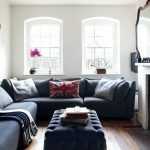 If you want to go monochrome, you can add black or white pillows, but if you want to go bold, you can put bright pillows and it will only be brighter with dark background. 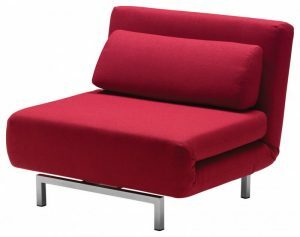 If you have a corner that you especially save for living room, you might want to go with this corner sofa. 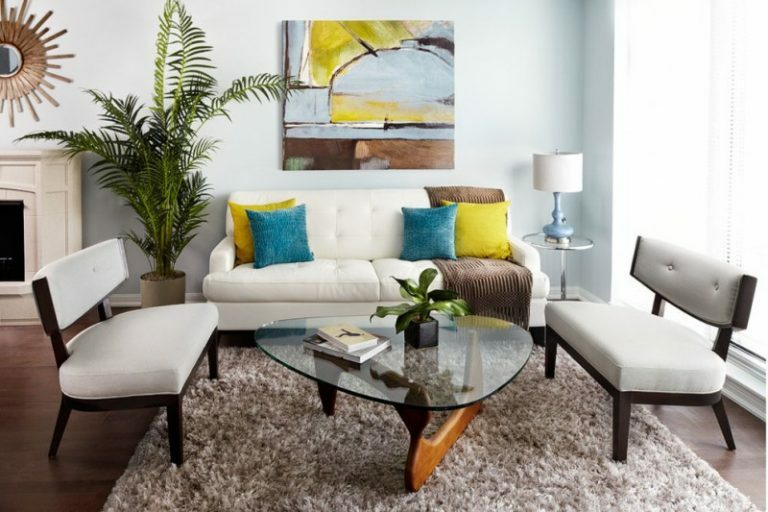 With calming blue color, you will get the most comfortable time in your couch. 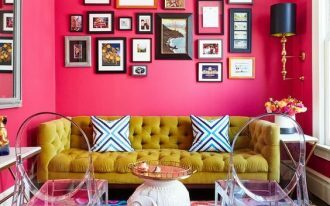 You can add some colorful pillows to add the color. People say, to balance your room, you can go with the contrast. 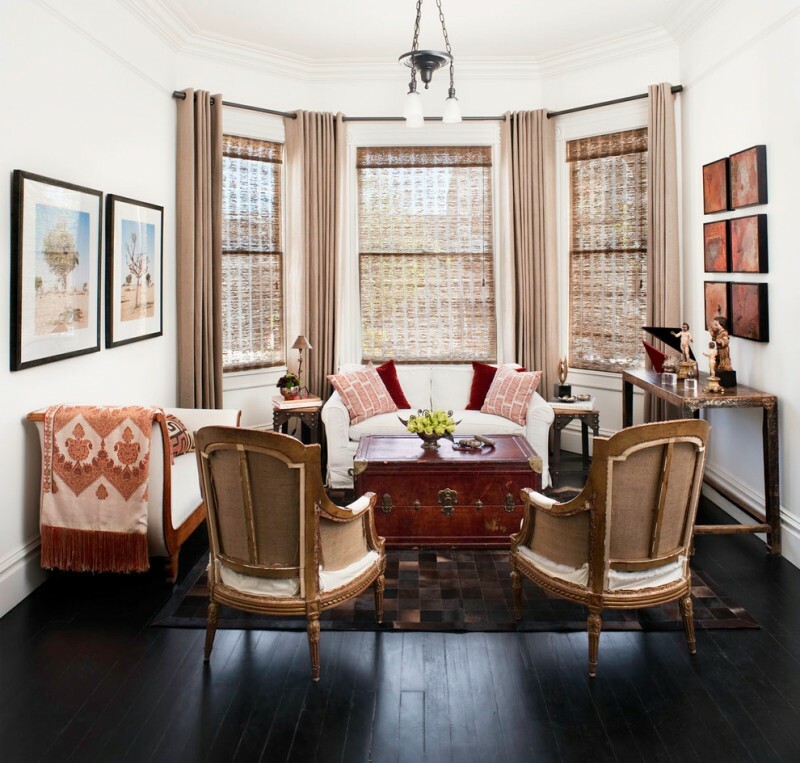 If you have dark room, you can add some light furniture, if you have too many round furniture, you can add some square room. In this picture, the flooring has been too dark that the white has been the balance. 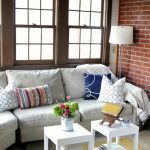 The sofa is also in white to make the room more proportional and the brown wooden chair is a match for the brown curtain. In this picture, the corner itself looks comfortable with red bricks exposed and brown wooden frame window. The sofa only needs to be white but it will still look merry. 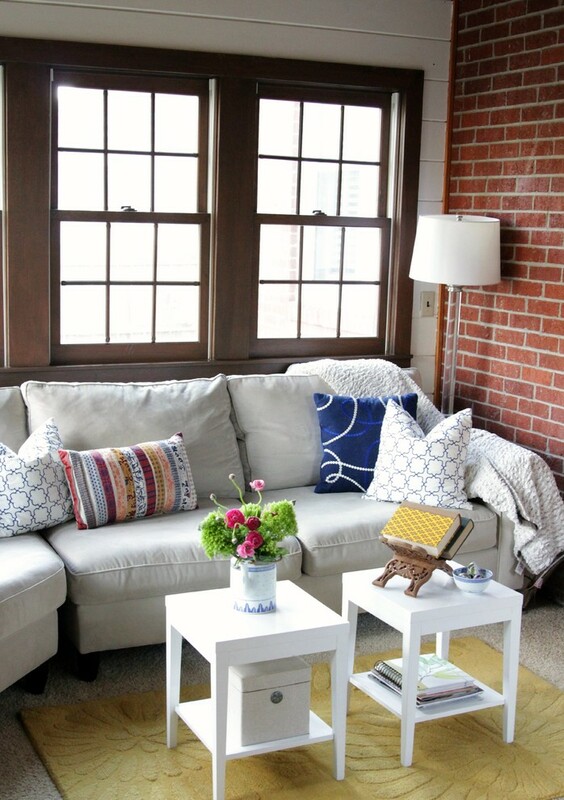 The small square white wooden coffee table is also so cute it looks so right there. 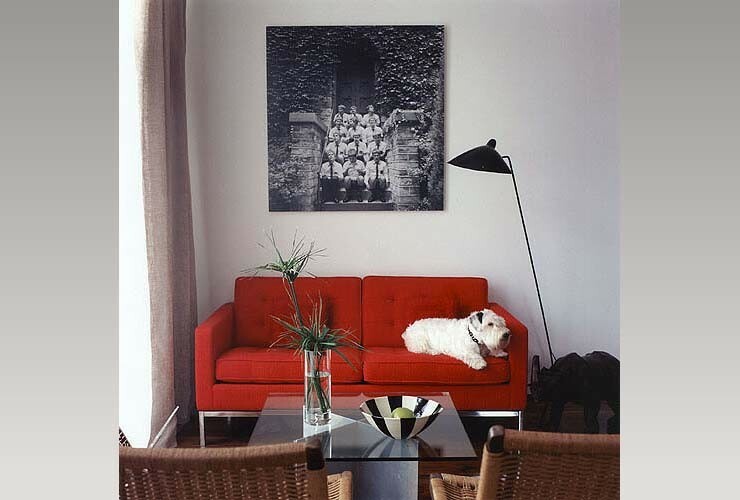 If your apartment wall is in white, you can use red sofa to make your apartment look bold and brave. You will get your comfortable seating as well as pretty sight. If you like to have colorful ornaments, having white sofa might be the best thing you can have. With its neutral color, the other color will be balanced. 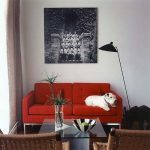 In this picture, all the small furniture is facing the white sofa as its axis. 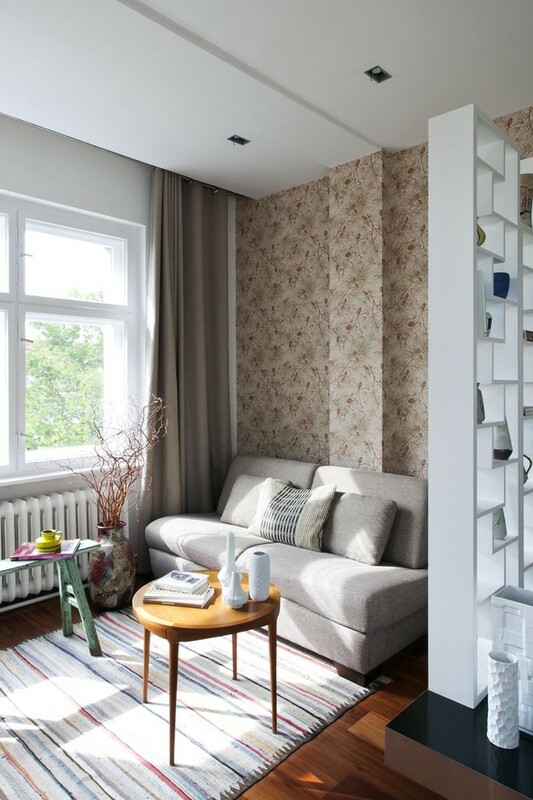 Having pattern sofa is also a good idea to be put in a small apartment. 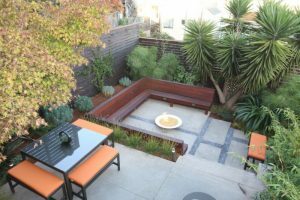 With matching set, it will look less crowded. Combining sofa and benches can be really pretty especially when they are matched. If you don’t want to be too pale, you can add some bright color pillows. 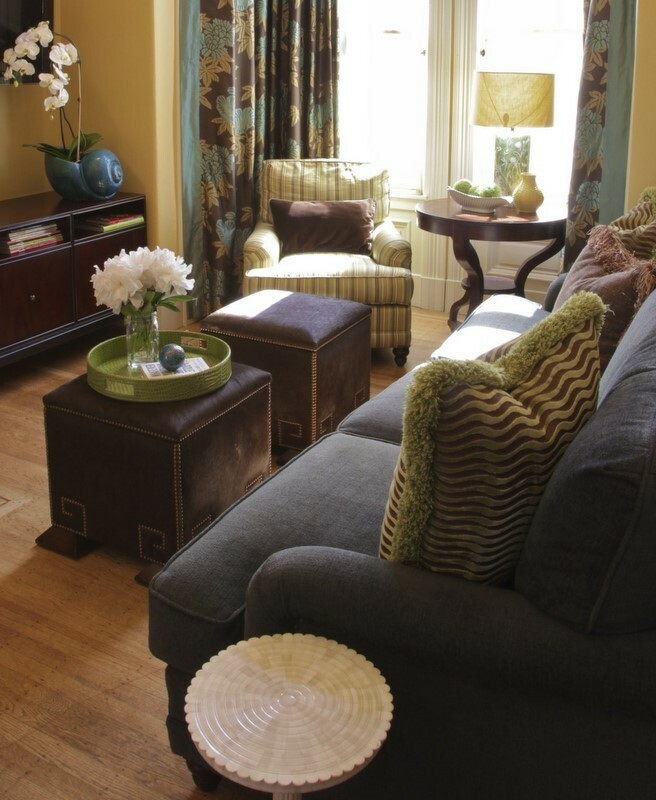 With wooden flooring and brown wall, adding beige sofa to its color palette can be really pretty too. It is soft and calming. And with a window where the sunlight shines through, it is like having your small sun room. 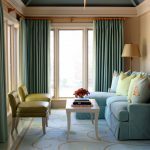 When you have a room with teal color, you can go with either green or blue furniture. 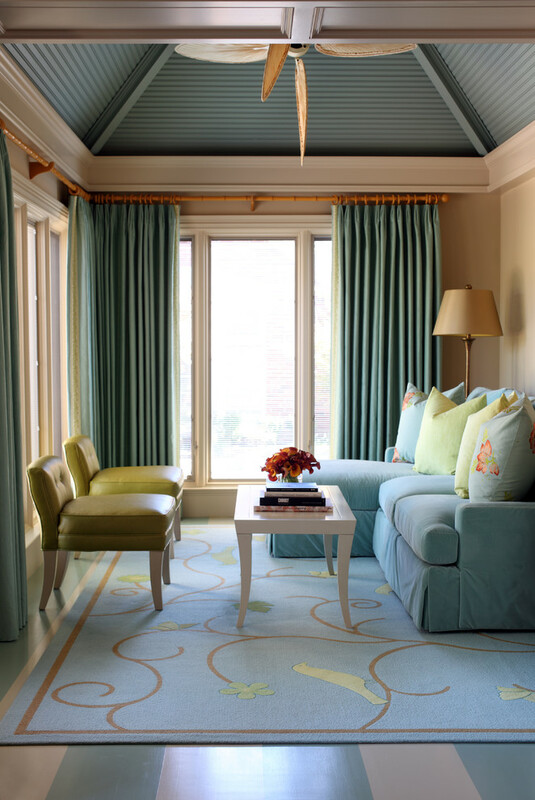 In this picture, the blue rug and sofa match beautifully with green low chair in front of it.